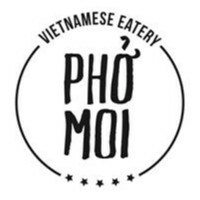 Pho Moi joined our Mission to help provide access to “Clean Water for All by 2030”. This Mission was initiated by the United Nations. A big thank you to Pho Moi’s team and customers for joining this extremely important mission on 11 December 2017. "I enjoyed my Pho at Pho Moi. The staff were very friendly and helpful. I was seated promptly and my order arrived swiftly. They had a great menu with lots of options. The food was fantastic and great value for money."